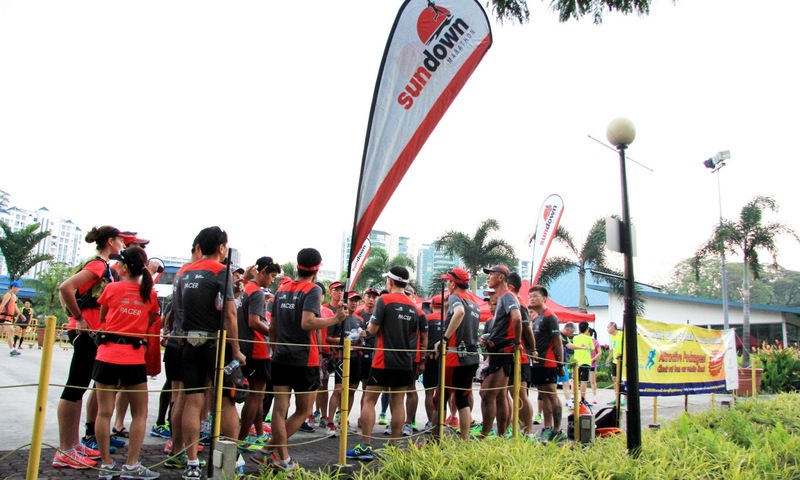 With the first successful Sundown Lead Up Run in March, lots of interest were generated after the runners enjoyed themselves thoroughly. 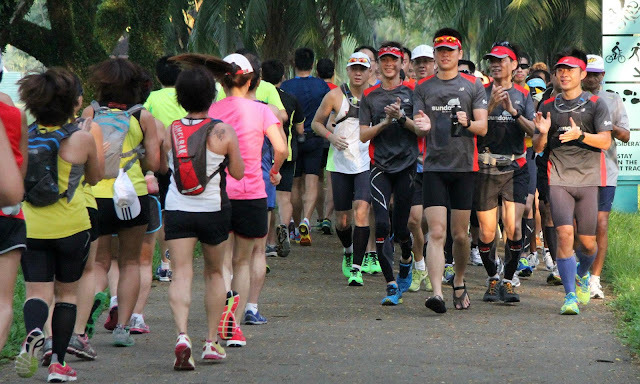 So, it is with no surprise that we received news that registrations for Lead Up Run #2 was closed way ahead because of very good response. 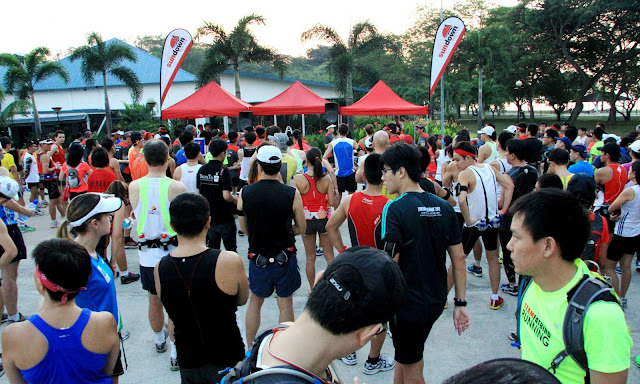 More than 300 participants showed up bright and early at The Playground @ Big Splash for Lead Up Run #2. 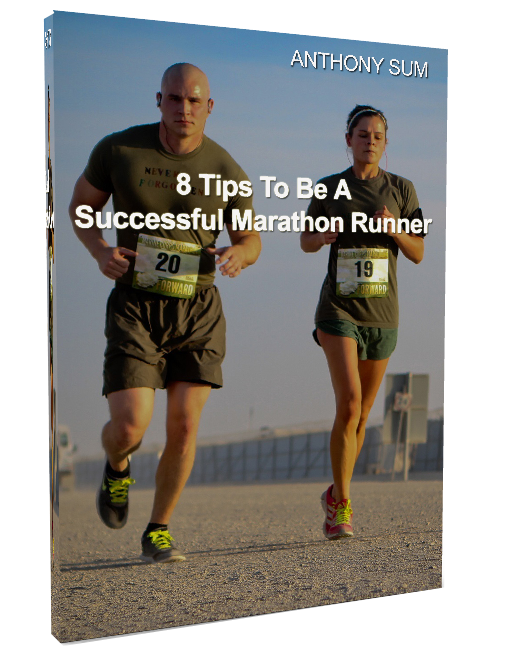 Additional tents, hydration, bananas, resources were prepared in anticipation of the large crowd, which went away very satisfied with the long run at Marathon Pace. The weather was warm but that did not stop the enthusiastic Half Marathon (HM) and Full Marathon (FM) participants from pursuing the morning’s objectives of 21km and 30km respectively. 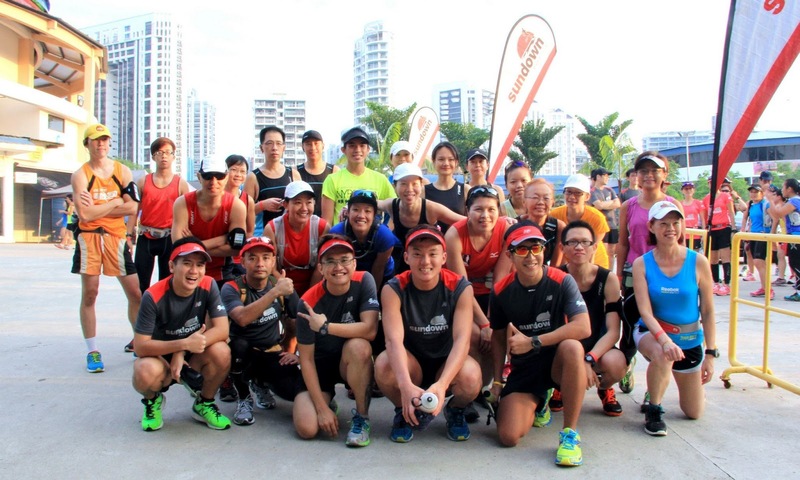 The dedicated Sundown Ambassadors (Pacers) were all prepared to accept their biggest challenge to date – pacing, marshaling and motivating the large moving groups of runners to train at regulated paces according to their respective pace timings. 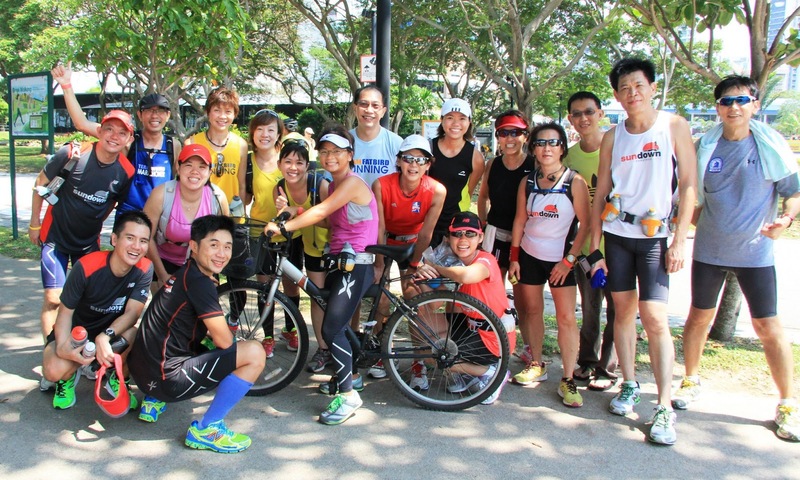 While there were many repeat runners joining us for the 2nd Lead Up after their very good experience with the first, there was also the fair share of new participants joining in for the very first time. 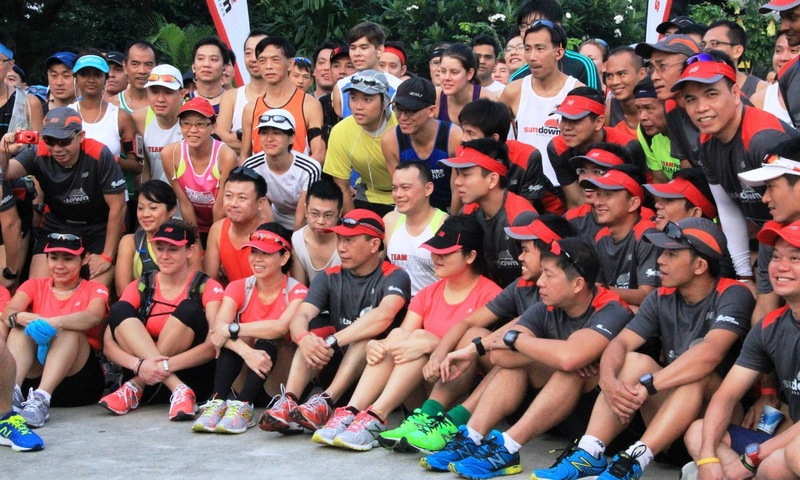 Regardless, they all melded as one with the Pacers once they were flagged off to the sounds of the air-horn, just after the group photos at start line were snapped. The first 3km stretch towards Fort Road was always filled with merry runners chit-chatting, getting to know one another, and interspersed with loud cheers and applause as each of the groups pass one another. 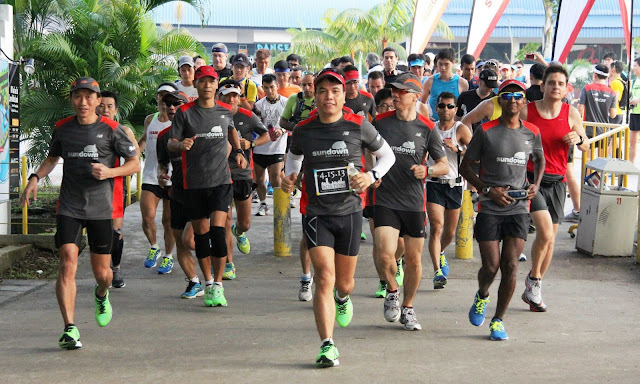 As the lead up runners, averaging 50-70 in each pace grouping ran along, they looked like tight units in formation, running tall and with pride to achieve what they have set out to do. The runners kept to the pedestrian pathways as much as possible for safety reasons, and although there were some minor slowdown at certain spots due to the crowd, the Sundown Pacers were able to bring their groups back to target average paces. 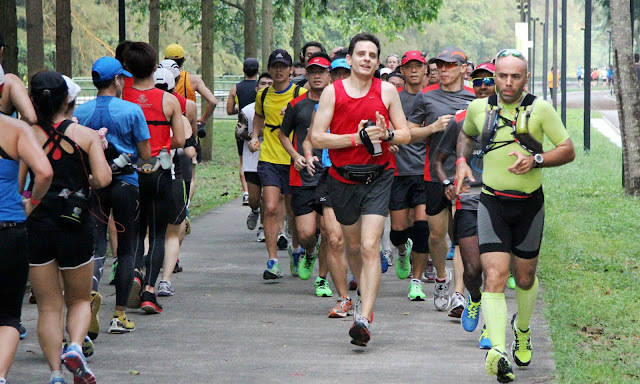 The weather grew from warm to HOT, with Brother Sun rearing its full head by 8am…and he burned all the way through to 11am, the cutoff time imposed for this distance (to avoid overtraining), especially in such temperatures. 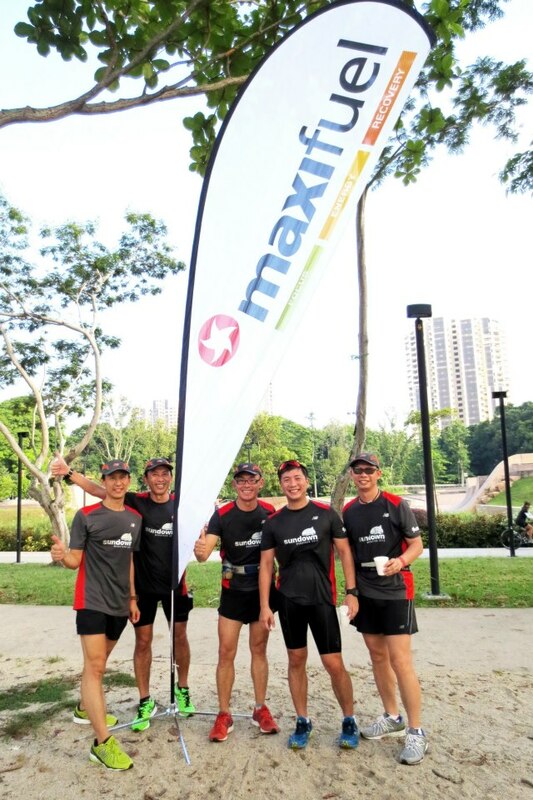 The Maxinutrition hydration point at Extreme Skate Park was strategically placed to cater to both the HM and FM participants to benefit from its Viper drinks at least 2-3 times. 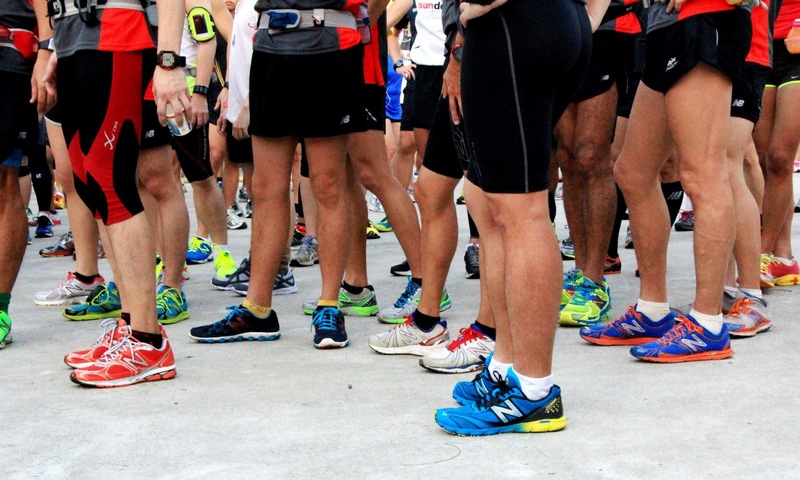 It was well stocked and manned with water all poured out into cups, ready for the runners to just pick up, drink and continue, without losing much time and keeping to a smooth momentum. Along the way, runners had opportunities to take quick technical halts at one of the many toilet stops along the way to cool their bodies with water from the taps. The U-Turn Point at NSRCC was the next point where the groups crossed paths with one another, and again, words and applause of encouragement were given to keep the motivation and spirits high. The runners maintained good paces, while aiming for the 17km mark where they would see the Maxinutrition hydration point again. 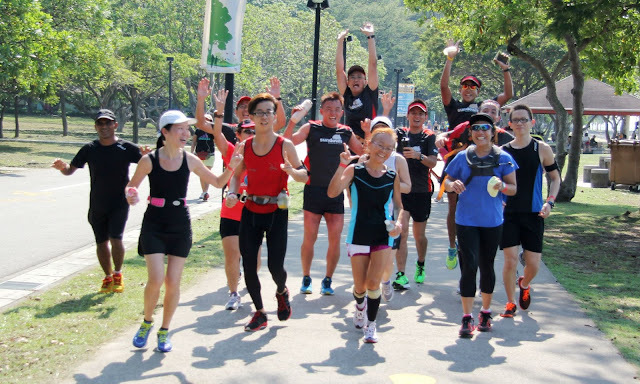 After the top-up, the groups regained some lost power because of the heat to head for the Playground again to complete 21.5km – a good achievement for the HM runners definitely. 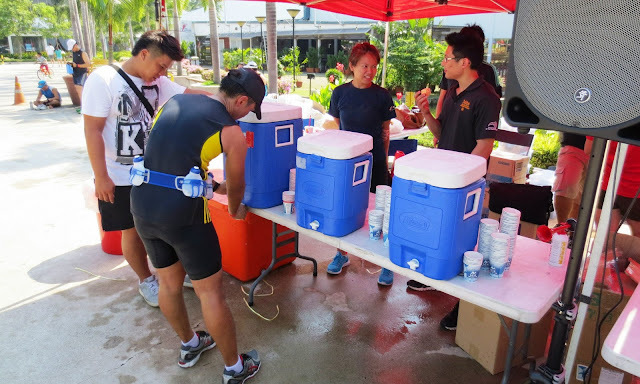 Bananas and 100Plus were served well by the big HiVelocity crew who were the first to be on location to set up, and the last to leave the place after the tear-down – thanks for all the organization, support and management of the entire Sundown Lead Up Run series. 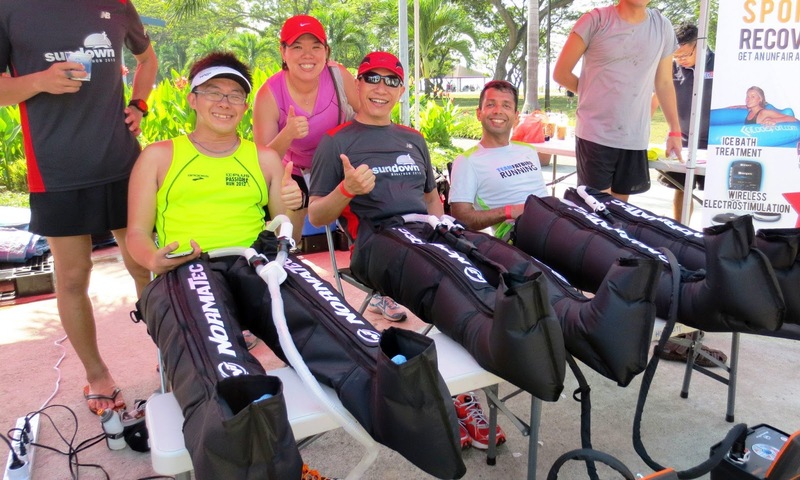 The satisfied HM runners went on for some trials of the compression boots to get quick and effective relief of their tired and achy legs. 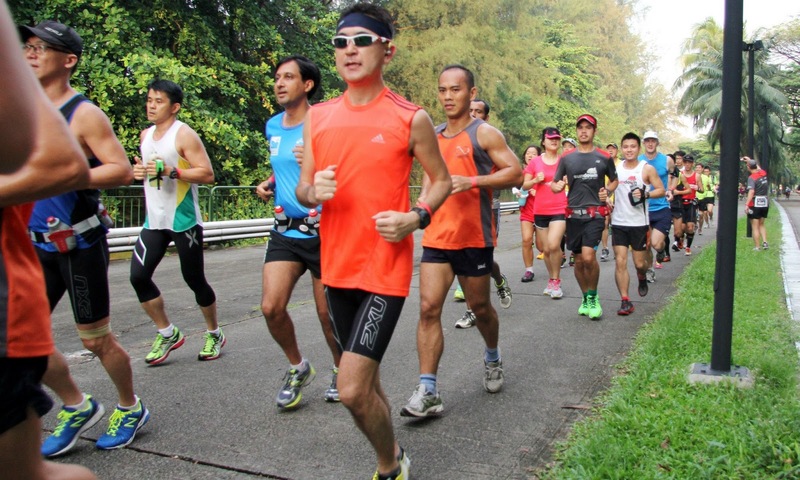 The FM runners, after refuel with bananas and 100Plus, went on for their final loop of 4-9km at target pace to eventually complete the training run of 25-30km by 11am. 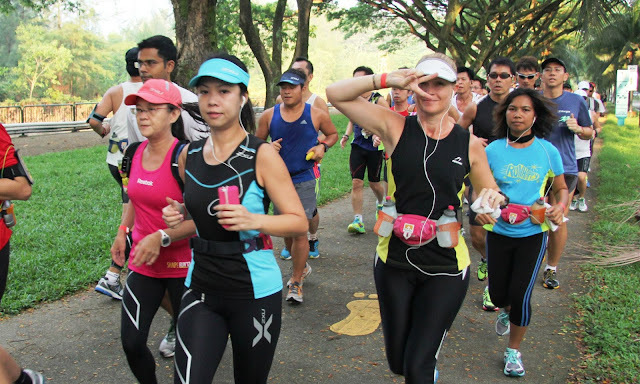 With the spot-on pacing and some neat timekeeping by the Sundown Pacers, most of the runners were brought back to The Playground within the cutoff and in good form, in spite of the soaring temperatures. This Sundown Lead Up Run #2 was a good success. Feedback from the majority of the 300 participants were very positive and many were already booked for the final Lead Up Run #3 on May 5. The Organizer in getting many requests for an earlier start, have kindly agreed to change the start time to 6:30am on May 5. 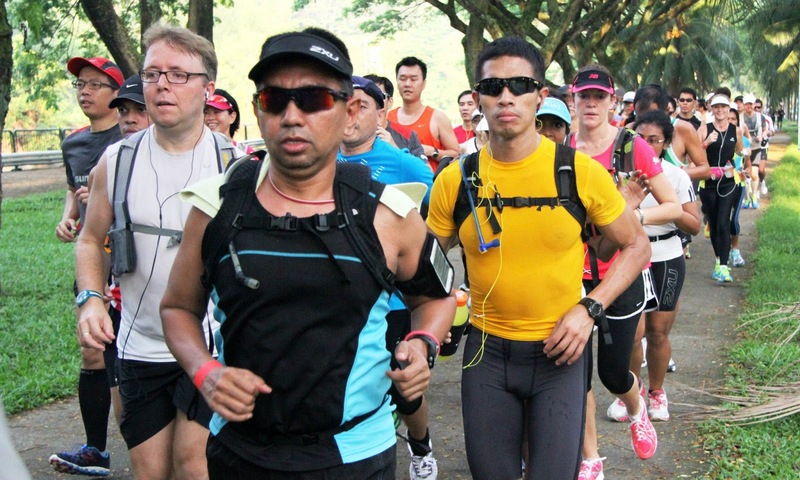 We will be looking at doing 21km for HM and 32km for FM, in what will be a good test of the runners’ abilities to maintain paces past their respective ‘wall-hitting’ limits.